Both grills are terrible, with the Chevy being the worse of the two. I understand that they're probably useful, but I do not like those ram side bed storage areas. The chevy is pretty awful, looks alot to me like a colorado grille but taller on the lower. I would bet that some silverado sales slide to sierra. 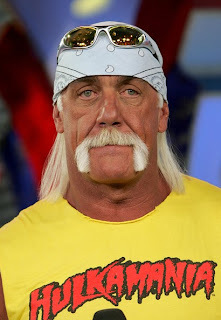 Whatcha' gonna do BROTHERRRRRR.....Yeah, looks like a Hogan stache. It's like they're both competing for who can make the uglier, gaudier truck. I agree with you in the bed storage areas. Last edited by dline; 12-06-2018 at 09:16 AM. Nothing but ugly! Should have stuck with that cross emblem. wtf is chevy doing? intentionally sinking sales to go out as far in the red? I’d still take that Ram over the Chevy. The Hogan stache grill doesn’t deter me. Just need to take my vitamins and say my prayers. They're trying to close more plants.